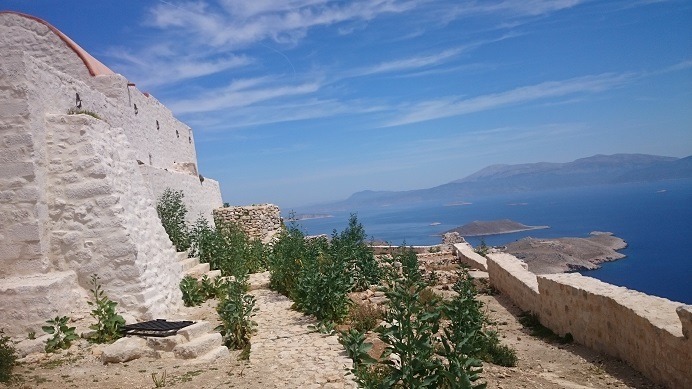 A long and steep walk from the village to the castle of Khalki and you are rewarded by a fantastic view. Not surprisingly this castle was for a long period of it´s history home to the crusaders of St John´s. Due to a predicted gale on Thursday we have decided to go over, night passing Astipalaia (unfortunately) and dig in to the port of Katapola on the island of Amorgos. This to ensure that parts of the crew will be able to catch their morning ferry early Saturday morning from Katapola to Piraeus.